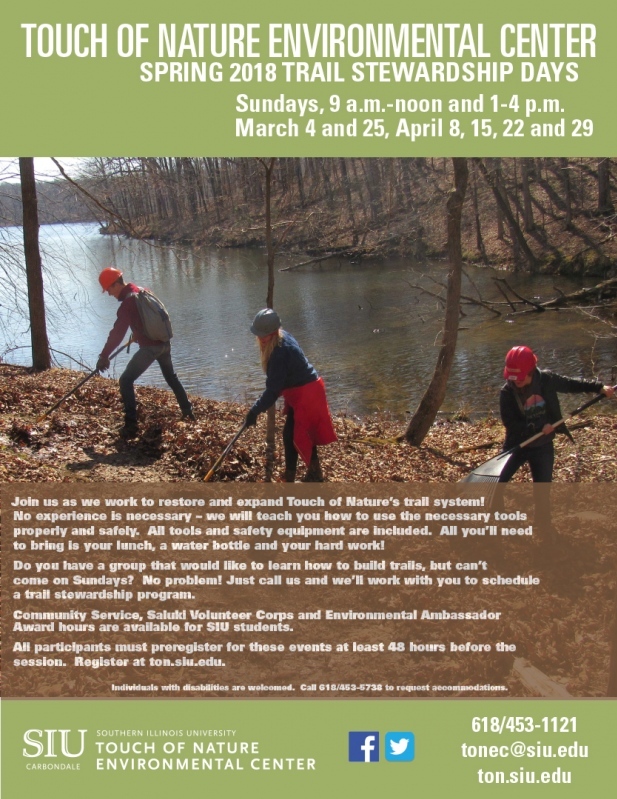 Description: Join us as we work to restore and expand Touch of Nature’s trail system! No experience is necessary – we will teach you how to use the necessary tools properly and safely. All tools and safety equipment are included. All you’ll need to bring is your lunch, a water bottle and your hard work!